More than 100 cyclists will enjoy Aberdeenshire’s breathtaking scenery as they take part in a 75-mile challenge this month. 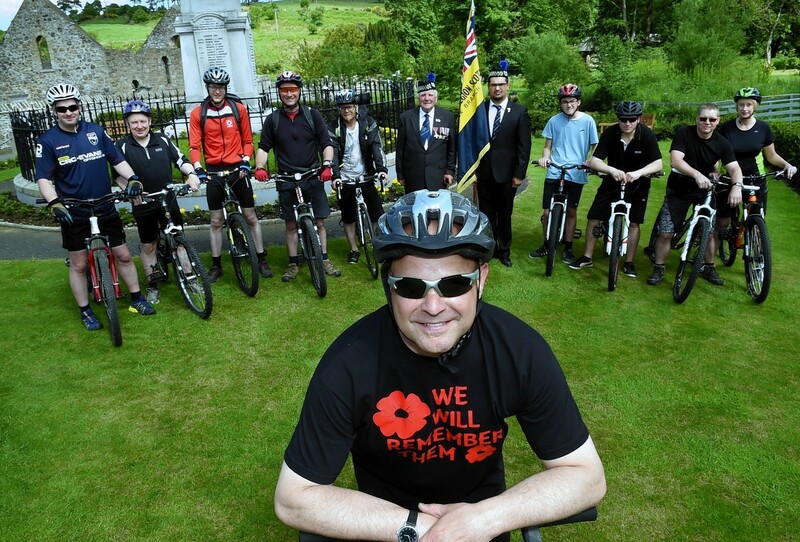 The sportive is being organised by the Methlick branch of the British Legion and will take place on Sunday, July 19, with the aim of raising more than £1,000 for the veteran’s charity. Co-organiser Jay Allan is hoping to convince more than 100 cyclists to join him in the pilgrimage – which will start in Ballater and end in his hometown. The owner of the Ythanview Hotel – where the Methlick branch is based – has devised a route that takes in the Deeside Way and the Buchan and Formartine way, as well as the Haddo Estate. Forty people have already signed up for the event, which costs £25 to enter and is open to hybrid or mountain bikes. Mr Allan said he was looking forward to showing off the “absolutely stunning” views around Deeside. He added: “We are opening this up to the public and we have already got 40 people. We expect to get closer to 100 and intend to make it an annual sportive, so we would expect the numbers to rise to 200-300 next year. “We will be cycling on the Deeside Way – which comes off the track a few times in places in Potarch – then going across to Dyce and then out on the on the old Formartine and Buchan line, so it is mostly train lines and country roads. “Some of the run is absolutely stunning. We go through Haddo House estate, which is really beautiful as well. To sign up for the Legion Scotland Ballater to Methlick Cycling Challenge e-mail methlickbranch@yahoo.co.uk or call 01651 806235.